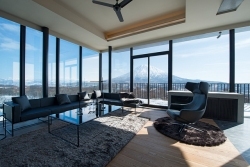 Vacation Niseko is a Niseko-based direct booking agent for a variety of self contained accommodation in the vibrant village of Hirafu, Niseko, Japan. Hirafu village sits on the doorstep to Niseko’s renowned powder snow, and boasts a range of Japanese and International dining options to suit all tastes, exciting night-life and revitalizing onsen - natural hot springs. Vacation Niseko has years of experience and the necessary expertise to tailor seamless Winter holiday packages including Sapporo and New Chitose airport transfers, Niseko all mountain lift passes, ski and snowboard equipment rentals, ski and snowboard lessons, back country guiding services, food and wine hampers, local day tours, cat-skiing tours, kids activities, babysitting and more. 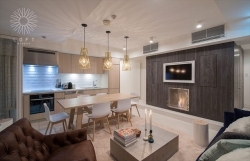 Vacation Niseko has been providing Niseko holidays since 2006, we are one of the longest and most established accommodation providers in Niseko. During winter we operate our reception desk 7 days a week at the Niseko Landmark View to offer peace of mind to all our guests in resort. We have knowledgeable and friendly staff available throughout the year to help you plan your winter or summer holiday. We have a range of accommodation and holiday packages that cater to all levels. All guests who book with Vacation Niseko will have access to our Valued Guest Card that entitles you to a variety of special deals and discounts in and around Niseko. 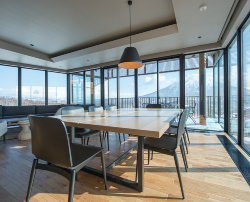 Vacation Niseko is committed to providing the best service as well as the best deals on accommodation! We are constantly updating our special offers, giving guests the best pricing on the perfect accommodation in Niseko. New discounts in line with local events or special time periods are always being announced on our special offers page, so be sure to check back often.